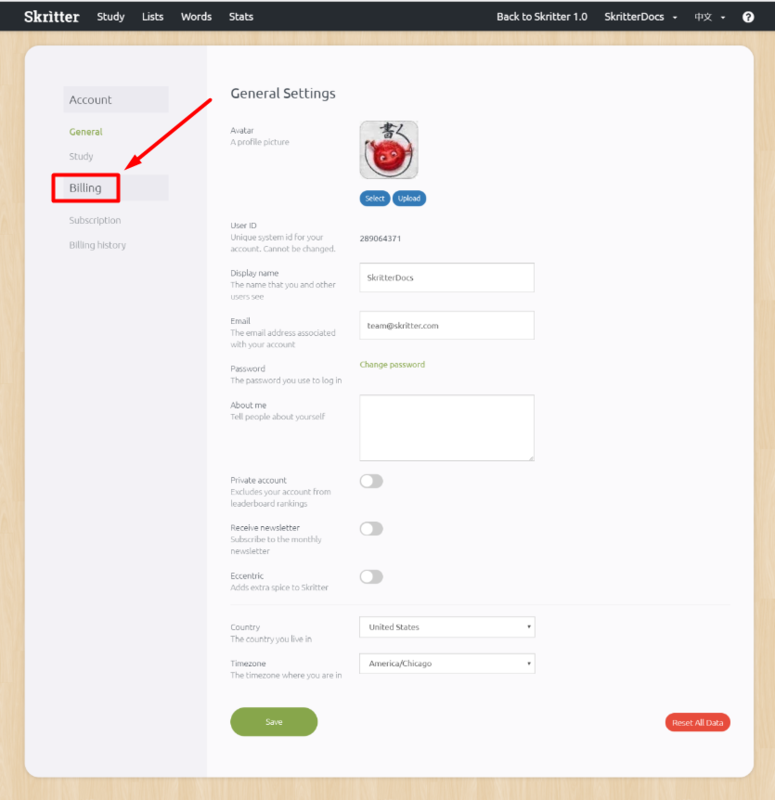 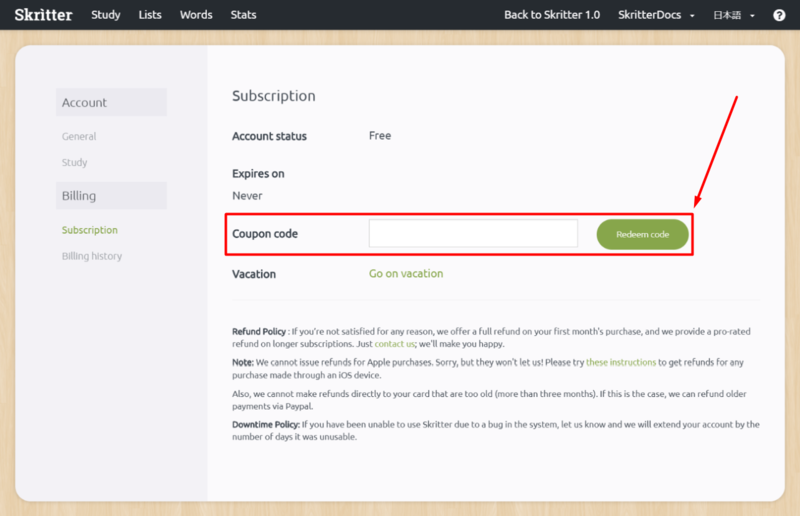 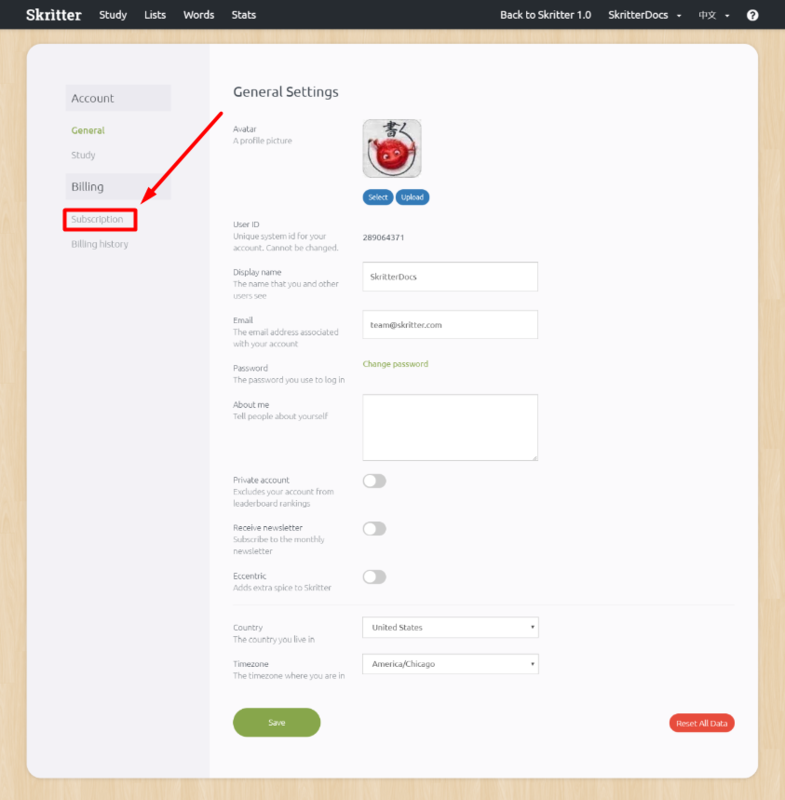 Manage your subscription, apply a coupon code, or pause your account while on vacation through the Billing area. You can pause your account for up to 3 months. 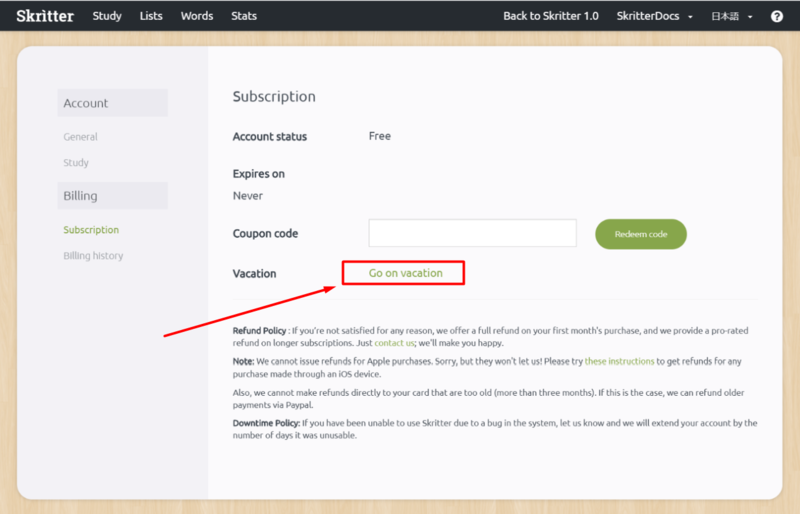 Vacation mode goes into effect 2 days after being set. 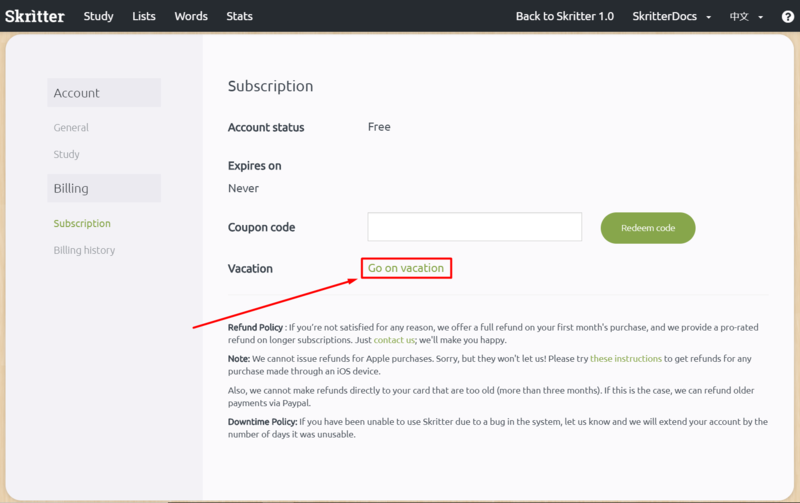 You can turn it off if you return early, and you will not be billed while you're on vacation. 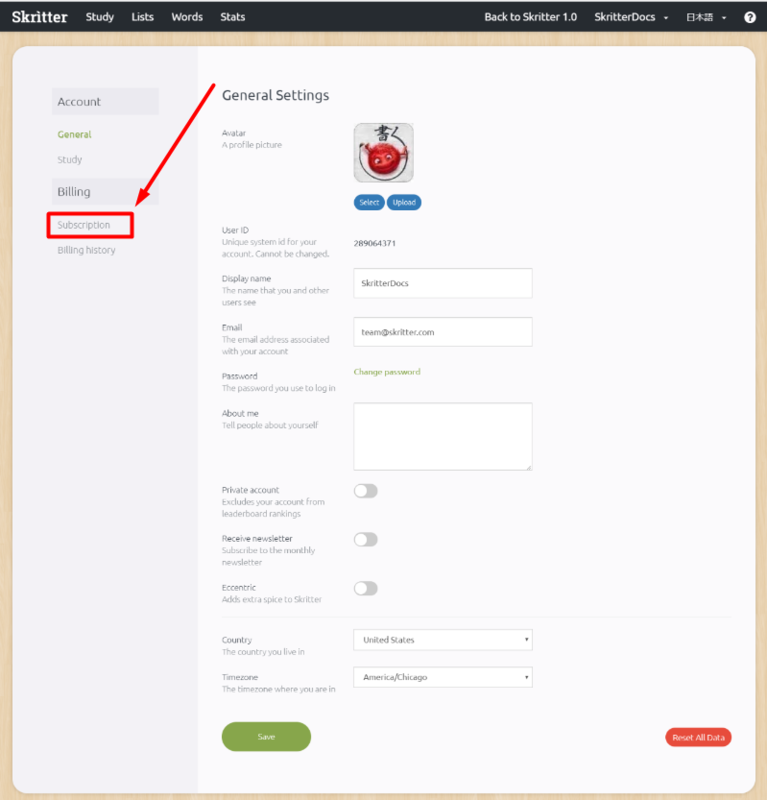 Managing your subscription in app is still in progress. 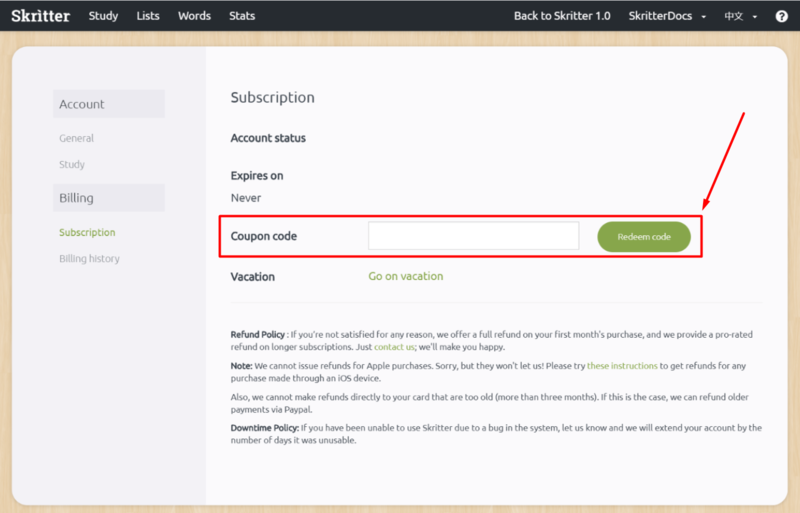 In the meantime, please refer to the web instructions.